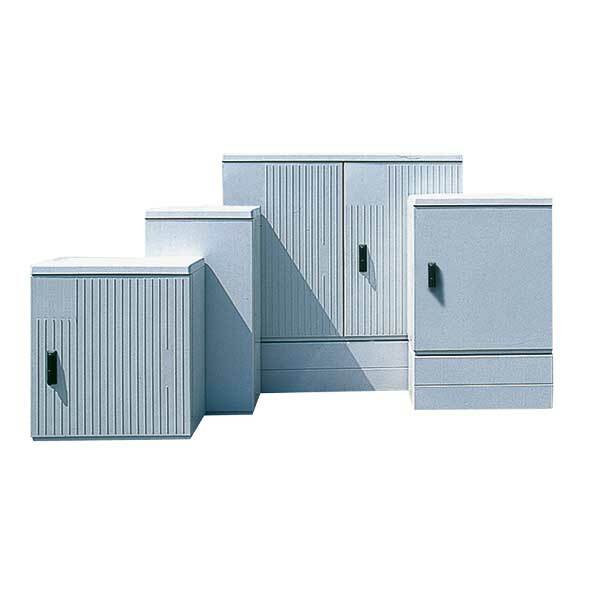 Cabinets made of hot moulded, glass fibre reinforced polyester. Dyed in mass RAL 7035 light grey. Delivered in kit-form (on request: factory assembled). 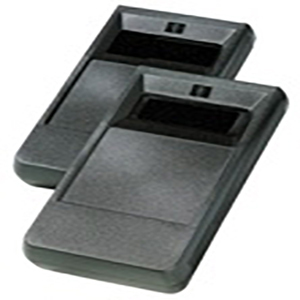 UV stabilized for outdoor applications, coated cabinets for increased resistance against UV-corrosion on request. Suitable for use in environments from -35° C to + 125° C. Temporary exceeding temperatures will not be harmful. 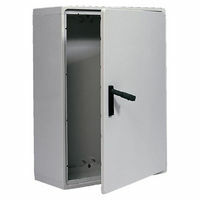 The open door can be manually unhinged to allow free access for maintenance. Threaded inserts for bolts M10 are moulded in the rear panel, allowing for direct mounting of busbars, a frame or a mounting plate for components. 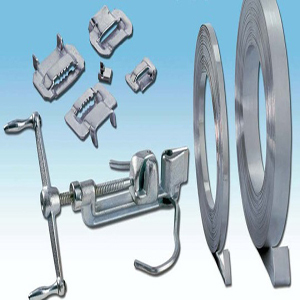 Supplied with open bottom – To be mounted on a basement according to DIN 43629 standard dimensions between the fixation points. The rainhood shape prevents water stagnation on the roof. Cabinets can be coupled together side to side or double deep. SKU: 431031/090. Category: Pedestal. 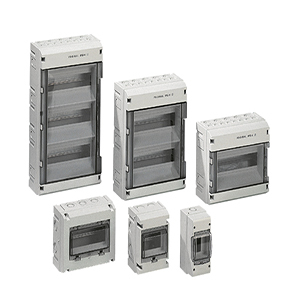 Tags: 431031/090, eh2, eh3, enclosures, midi pillars, mini pillars, pedestals.